This installation is to be performed in a couple of phases, initially to provide solid, easy-to-use VHF and UHF operation. When mobile, up until now, I had been using my Baofeng UV-5R handheld dual band radio coupled with an external magnetic mount antenna. 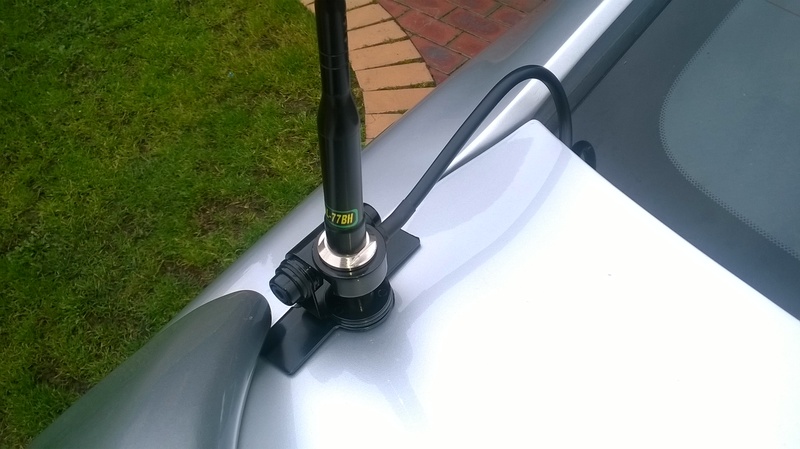 Although this works quite well (for a HT setup), is unobtrusive and can be removed from the vehicle in a couple of minutes, it does not provide a good platform for operating whilst mobile. Furthermore, I don't have a 12-volt adapter for the Baofeng so I periodically have to remove it from the vehicle to recharge the battery. 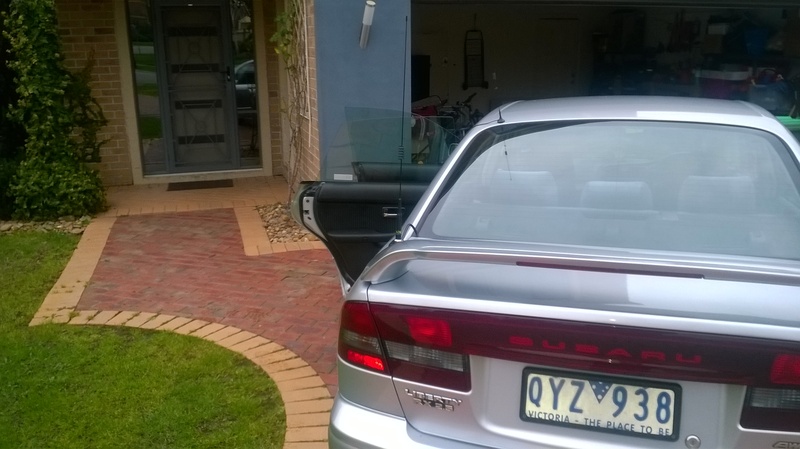 The installation vehicle is a 2001 Subaru Liberty saloon/sedan (known elsewhere in the world as a Legacy). 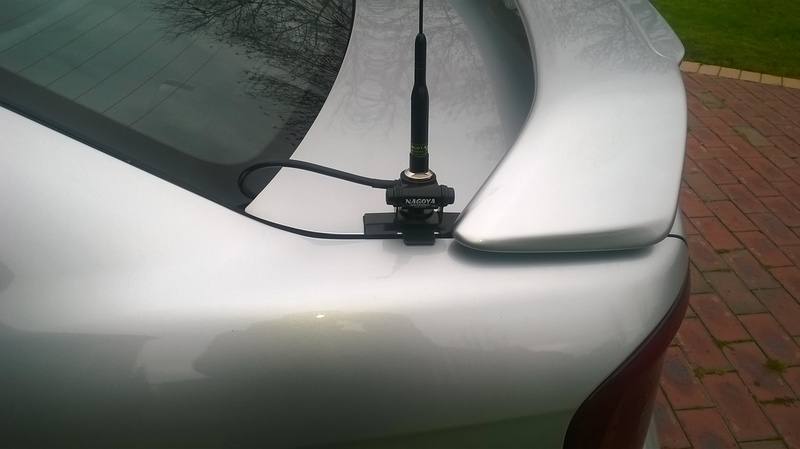 The antenna is to be installed toward the rear of the vehicle primarily because I don't want an antenna upfront that could be distracting. 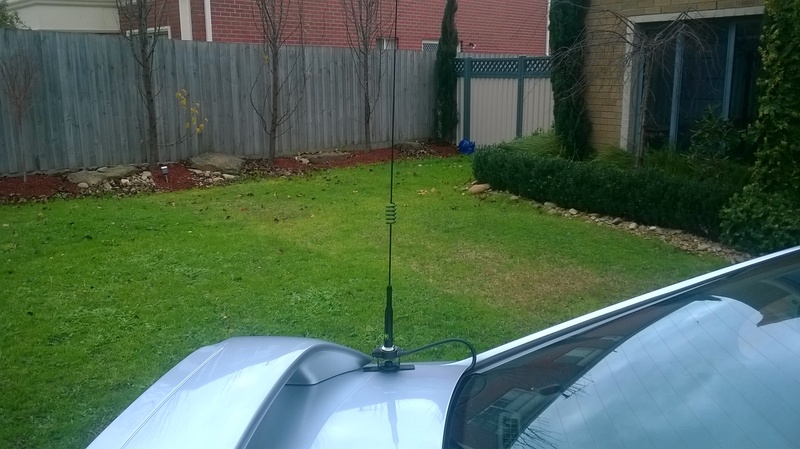 My eldest son, 2E0XMP, will begin learning to drive next year, so I would prefer the antenna out of site, so that he can concentrate on learning to drive. 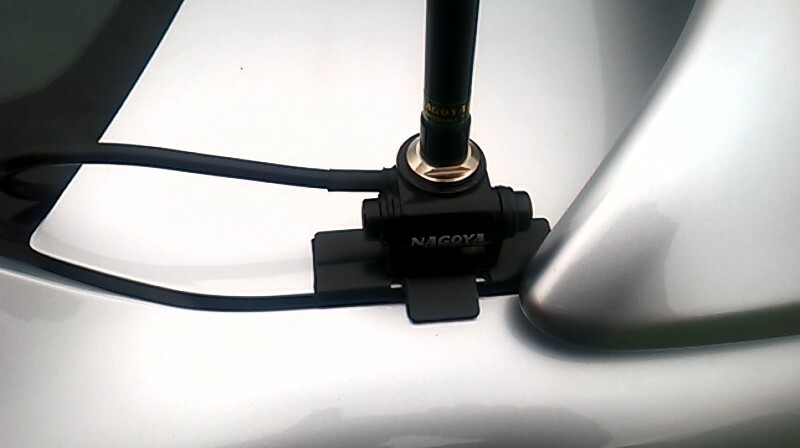 Decided to use a Nagoya RB-400 lip mount as I don't want to cut any external holes in the vehicle. 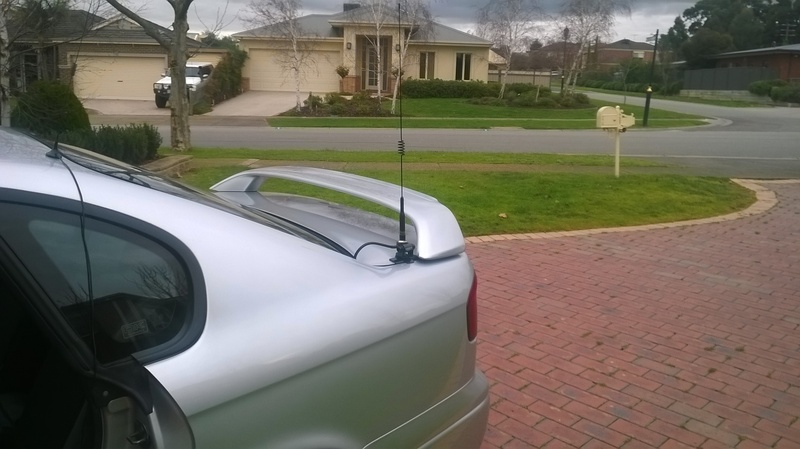 This will be mounted in front of the rear spoiler on the boot lid and will have a Nagoya NL-77BH, which is 65cm long, to compensate for the lip/boot mount - thus hopefully preventing any damage to the sheet metal from the antenna and mount flexing. 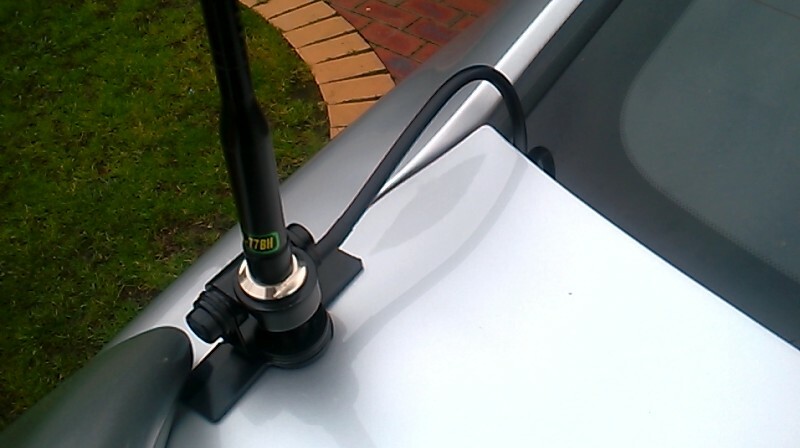 The antenna offers 3.0/5.5dbi gain on 2 meters and 70 centimeters but is fairly short and not heavy at all. The antenna is a PL-259 mount, thus a SO-230 base with 5D-FB feeder cable will be used between the antenna and transceiver. Feeder cable enters via the weather seal on the top lip of the boot. 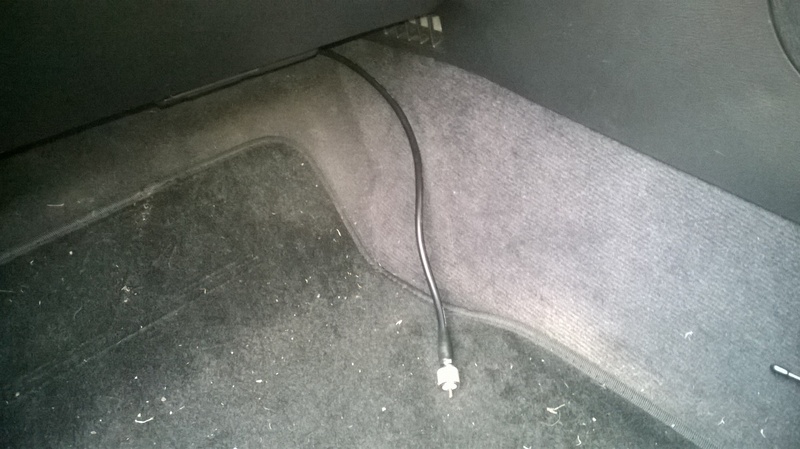 The cable has then been routed underneath the back seat of the car. Thereafter it follows the left-hand passenger side, underneath the plastic trip and alongside some of the other car electrical cables that have been routed down this side of the car. At the far end the feeder exits the plastic trim at the lower passenger kick panel. The feeder is current tied off in the passenger foot well area, awaiting final routing once a mobile transceiver has been installed.